Set between the led and the diffuser, the polarizer helps to delete the reflection of the lighting on the workpieces to be controlled. The camera, equipped with a polarizer filter, a.k.a analyzer, can then start the analysis of the parts, without being disturbed by shiny effects. Polarizer can be very useful to lead a quality control of workpieces packed in transparent plastic bags. Only available for visible wavelengths, the polarizer highly reduces the lighting power (about 50%). BEWARE ! 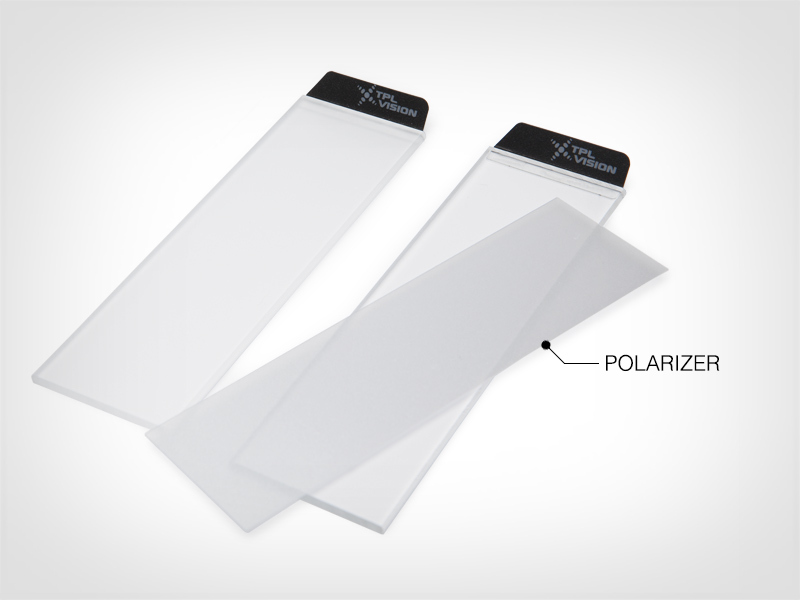 Since it has a short lifespan, the polarization properties of the polarizer have to be checked regularly.